Hats Off! 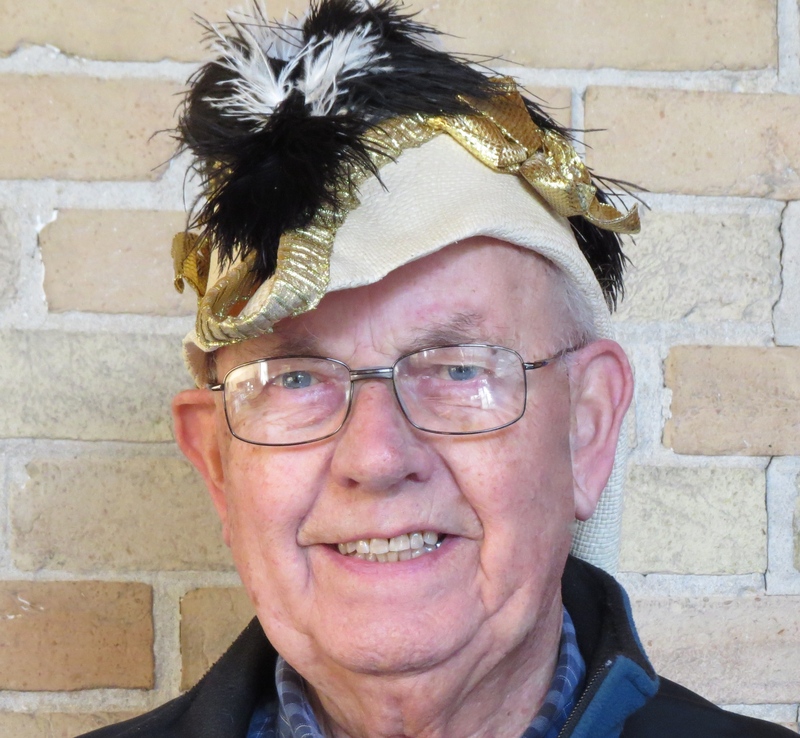 to Keith Pickett – VOS Theatre’s Patter Song Pro! VOS THEATRE will present Hats Off! February 13 and 14 at Victoria Hall in Cobourg. 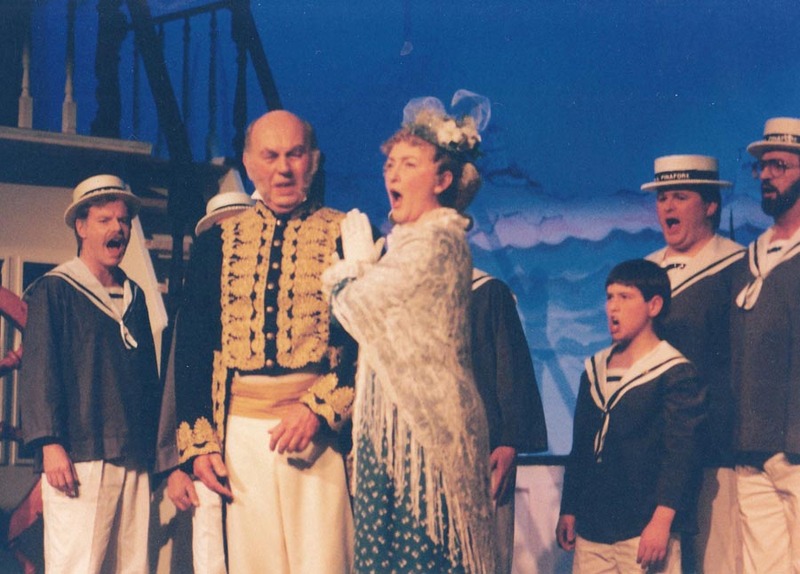 The Gilbert and Sullivan revue is meant to honour our founder Ruth Harcort, who passed last year. The profits from the show will go directly to the newly created Ruth Harcort Memorial Scholarship fund. We recently met up with Keith Pickett, artistic director. VOS: Tell us about the roles you played in VOS THEATRE G&S productions. You’re the VOS’s patter song performer! Are they fun or just a nightmare to remember? Keith Pickett: They are fun, I don’t seem to have much difficulty with the memory work (fingers crossed) and, in any case, the audience is always very forgiving. I generally make up a verse lampooning a local event or politics and both audience and cast look forward to that. VOS: As we remember it, you directed one and were in it. How was that? KP: I directed the second production of “Pinafore” in 2000 and played The First Lord of the Admiralty, which I had also played under Ruth Harcort’s direction in 1991. The role was comfortable and I felt confident in tackling both. 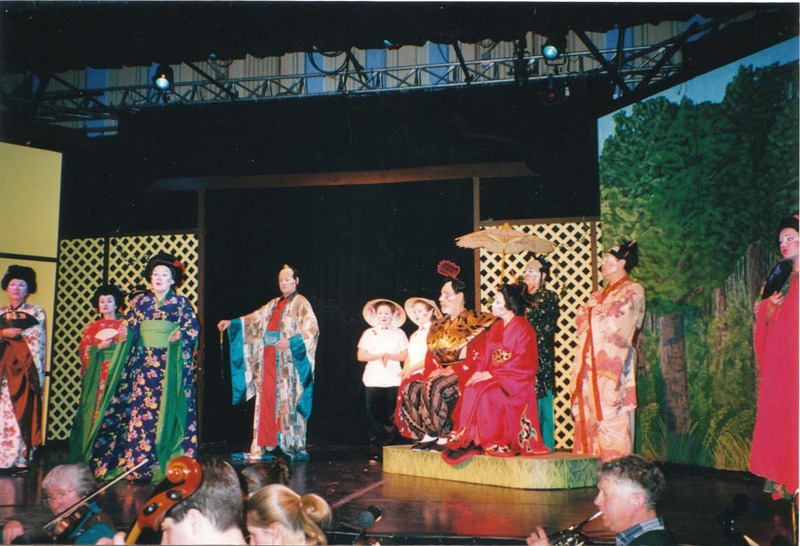 This was not the case when I directed The Mikado, I would have loved to play KOKO but cast Wes Walton in that role. Still haven’t had the opportunity and it is probably too late now. VOS: Ruth Harcort made an amazing contribution to the local arts community and founded the VOS. This show is essentially a tribute to her and a means of funding the new scholarship in her name. Tell us a story, your favourite memory of Ruth. KP: In 1986 I found myself with some time on my hands and, as luck would have it, I saw an audition notice for Trial by Jury to be directed by Ruth Harcort. I thought, why not, having always had an interest in G&S. Well I showed up for the audition and, as I thought, Ruth and I hit it off, remember, I had never been on stage to this point. She told me she would let me know in a couple of days. Well two weeks went by and I hadn’t heard and was very disappointed, I thought I was good enough for the chorus until I had a call from Ruth at about 11:00pm, (I was in bed,) Inviting me to play the Judge. Ruth was the perfect introduction to theatre and I was privileged to work with her many times after that first experience. VOS: So Hats Off! You have assembled a fantastic cast and you and Hugh Stewart have been working tirelessly to put together something worthy of a tribute to our founder. Tell us about the show. KP: You are right we have some great voices and to accompany those voices we have one of the finest pianists in the area, Susan Tanner has a history in the entertainment business and has worked with local choirs and with VOS Theatre in the past. Also Hugh (Stewart – Music Director) has been doing some wonderful work with the cast learning music. Essentially we have put together a selection of highlight songs from six of Gilbert and Sullivan’s Comic Operas, the original idea was to use only shows which VOS had staged. However since Ruth had assembled a number of later VOS stalwarts in her Trial by Jury, Hugh and I made an executive decision to put a number from that show in. It makes a good opening to our show. This will be a fast paced musical show with little or no dialogue. We are not attempting to tell a story just to have some fun singing fun songs and we anticipate some audience participation. I expect many of the audience to be familiar with most of the content. 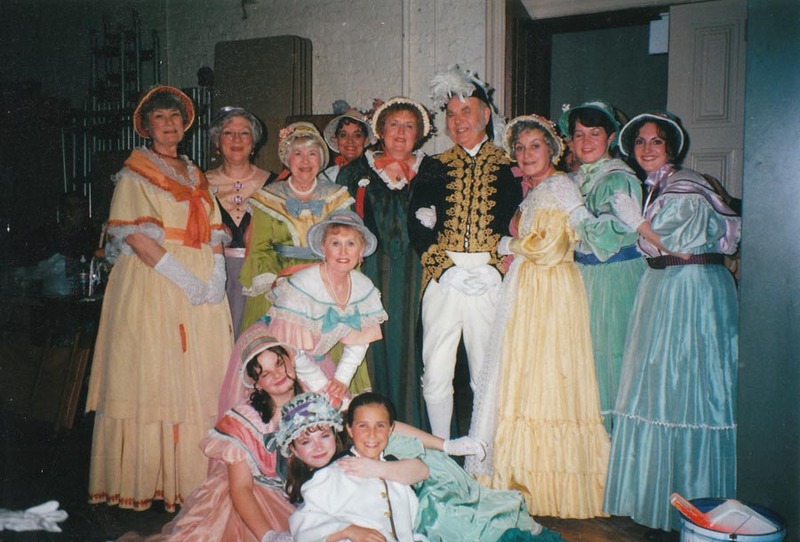 Keith backstage with the ladies of the HMS Pinafore. VOS: The organization hasn’t performed G&S in years. What’s the appeal of their work? KP: First of all I think the glorious tuneful music of Sullivan. Listen to a recording of Gondoliers and you have to be uplifted by the lilting cheerfulness of the music, much of it based on Italian folk tunes. VOS: In closing, have you identified a favourite moment in this show at this point in the rehearsals? KP: When Liz asked me to be involved! You can book tickets to Hats Off! by calling the Box Office at Victoria Hall at 905-372-2210 or online here.